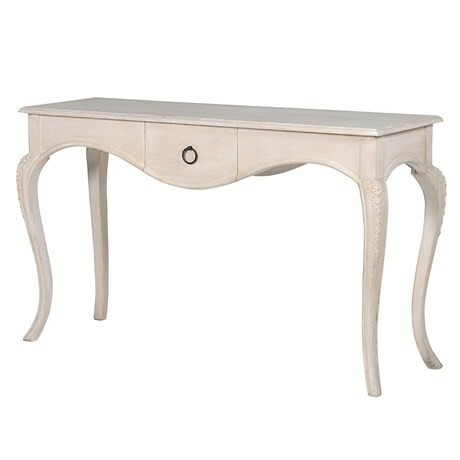 This console table really does stand out amongst all ranges featuring a beautiful limed white finish for a gorgeous traditional look. With delicate and intricate flower carvings down the top half of each leg to provide an exquisite design. A single drawer is found in the middle of the table with a iron hooped handle for a vintage look and has an elegant curved body. 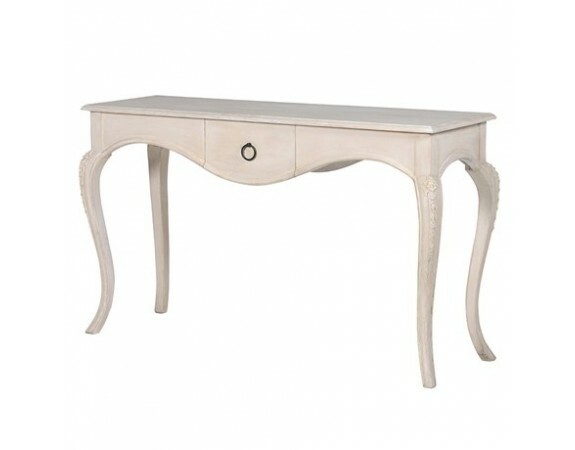 The Honfleur gilt console table is perfect for in the bedroom, hallways or living rooms.